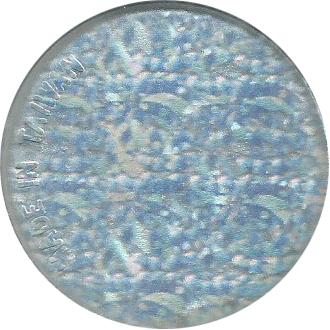 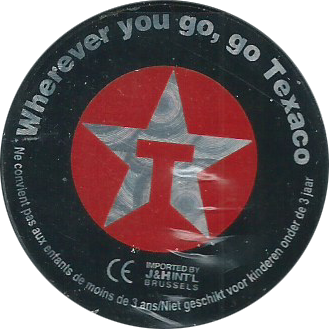 Info:These Slammers feature the Texaco logo printed on holographic foil. 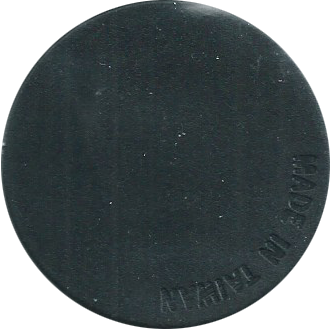 Two of the images below are black plastic slammers, and the other is transparent plastic. 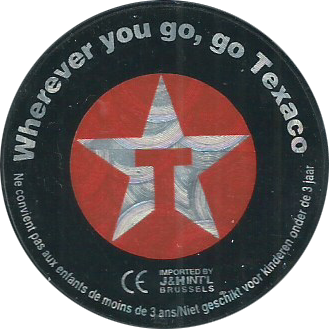 On the back they have 'Made in Taiwan'. 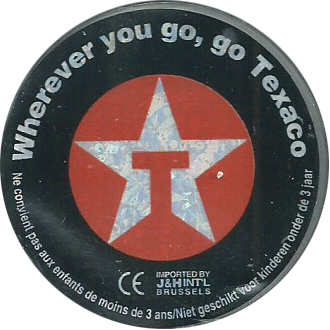 They were likely given away, along with the sets of caps, at Texaco Petrol stations in Belgium when you purchased fuel.